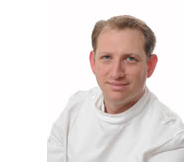 Stephen Sacks is a leading osteopath who practises in Harley Street and Highgate, North London. Stephen specialises in all aspects of osteopathy, acupuncture, dry needling and electrotherapy. He treats all conditions, from back and knee pain to headaches and throat problems. Stephen is registered with the General Osteopathic Council and The British Osteopathic Association and is a member of The British Medical Acupuncture Society and the International Myopain Society.